So, I finally got around to getting Speck animated. 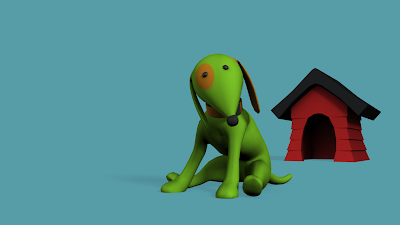 It's quick, rough, but it's an animation. Though I found this project rather frustrating when it came to the rigging and animation, it has been enormously satisfying to actually see Speck come to life. On another note... My life has been incredibly busy recently, and yet somehow I haven't been finishing a ton of projects or anything. Unfortunately. I feel like I have a time leech attached to me somewhere and I can't figure out where. Hopefully I'll find myself becoming more productive very soon, so keep checking back. Without further ado, here is an animated Speck! Well, not quite... Here's my beauty shot. 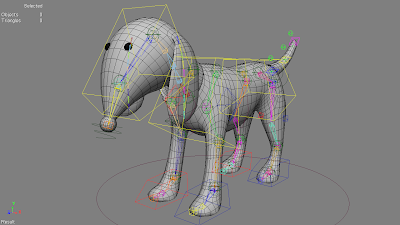 And here (because I spent like 2 weeks rigging him) is a pic of Speck's wireframe and the custom rig I created for him. O.K. Now we get to the animation. Enjoy!